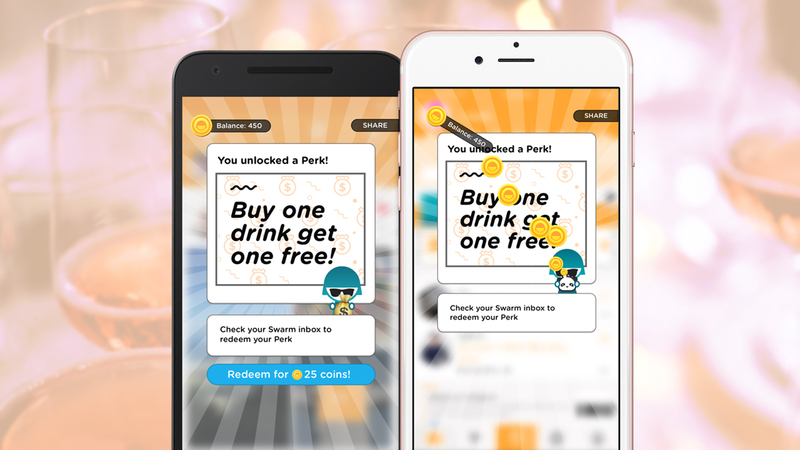 Swarm, meanwhile, lets you use virtual coins to score real-life deals. Foursquare's namesake app is all about finding things to do around town, but it hasn't really put the strongest focus on the finding part -- it's usually focused on suggestions. Well, the company is fixing that today. The new Foursquare 10 for Android and iOS has a redesigned home screen that puts search at its heart. On top of a more prominent search box, you'll also get big quick access buttons that help you find common activities, such as dinner or nightclubs. And if you're on iOS 10, you'll get rich notifications that include photos and quick actions. If you spend more of your time in Swarm, you're also in luck. If you've spent ages accumulating in-game coins, you can now spend them to unlock the service's real-world deals. UNIQLO will give you a $5 gift card, for instance, while Miami's Dragonfly Izakaya & Fish Market will give you $10 off. San Francisco's Balboa Cafe will even hand you some free ice cream. And now that those coins are useful for more than stickers, you have more ways to earn them -- the app will occasionally ask you trivia questions about your travels (say, the last time you hung out somewhere) in return for some virtual currency. In short: you now have a good fiscal incentive to use Swarm every day, not just when you're out on the town.